Fritz Bloemendaal was born on July 5, 1928 on the family farm near Harris, Iowa to John and Irene Steffen Bloemendaal. In 1938 the family moved to a farm north of Lake Wilson, MN where Fritz attended Lake Wilson High School. On September 30, 1949 he and Phyllis Chapman were married at the United Methodist Church in Lake Wilson. Following their marriage they farmed in Lowville Township and raised their two children. They retired in 1994 but remained on the farm until 1996 when they moved to Lake Wilson. Fritz and Phyllis enjoyed spending many winters in Yuma, AZ. In July 2017 Fritz moved to the Slayton Rehabilitation and Health Care Center in Slayton where he passed away on Monday, February 4, 2019 at the age of 90. He was an active member of the Lake Wilson United Methodist Church. 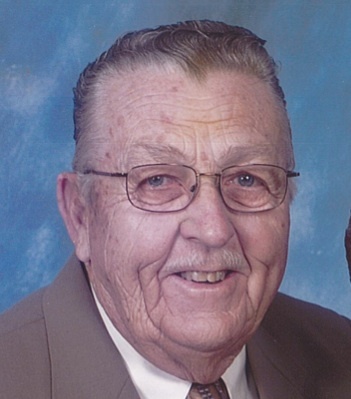 Fritz was a member of the Lake Wilson Lions Club, served on the Lowville Township Board, the Lake Wilson Farmers Elevator Board, and District 23 School Board. Fritz enjoyed traveling and took great pride in the appearance of his property. Survivors include his wife, Phyllis Bloemendaal of Slayton, MN, two children, Lynne Day of Minnetonka, MN, and Thomas Bloemendaal and his wife, Diane of Rapid City, SD, five grandchildren and their spouses, Lindsay and Philip Alejandrino, Luke Day and Lisa Gebhard, Jenna and Andres Hernandez, Brittany and Ryan Bedford, and Thomas and Sid Salina Bloemendaal, five great-grandchildren, and one brother, Arthur Bloemendaal and his wife, Chloe of Loveland, CO. He is preceded in death by his parents. United Methodist Church in Lake Wilson, MN on Saturday, February 9, 2019 at 10:30 a.m. with Pastor Ethanie Schmidt officiating. The organist is Janet Voges with special music by Heidi Winter. Interment is at Slayton Memorial Gardens in Slayton, MN. Visitation will be on Friday, February 8, 2019 at the Totzke Funeral Home in Slayton from 4-6 p.m. and also one hour prior to the services at the church on Saturday.